The primary aim of the Colts at TDCC is to introduce boys and girls to the sport and engender a long term involvement with the Club. We have the fastest growing junior membership in the area with nearly 300 youngsters ranging from age 4 through to 17. We offer Sunday morning coaching for colts aged 4 to 9 with coaching on Friday evenings for U10’s – U14’s. 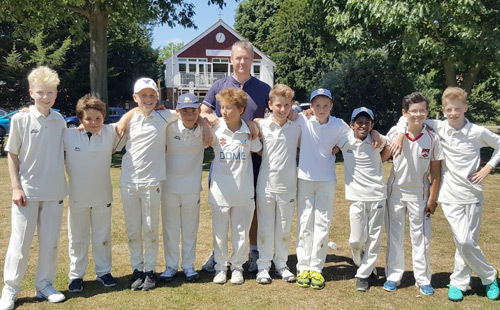 U8’s colts and upwards play competitive matches in the West Surrey Youth League; they are also able to move up to play in the senior or Sunday sides if they so wish – there is a clear planned pathway through from the colts to the senior cricket sides. Like all clubs we are totally run by volunteers. We therefore encourage each parent / carer to donate 2 hours of their time during the season to help out. Whether its behind the bar, scoring or clearing glasses it really does make a big difference. For more information please talk to your age group Manager. 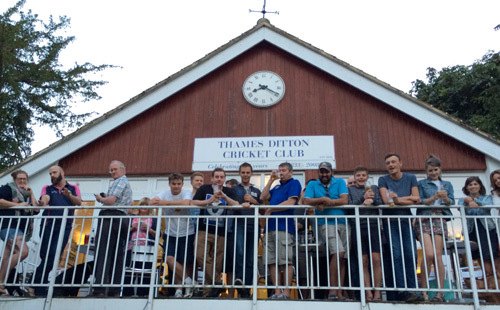 Our Mission – to attract young cricketers to the club and develop not only their skills and talents, but also their love of the game in a friendly and safe environment – TDCC follows ECB recommended health and safety policies. Our Ethos – The Morgan – Glasgow ‘Spirit of Cricket’ Trophy is given to a Colt each year who has demonstrated such values. Whilst we play to win we place a higher long term value on such behaviours. All summer training is on Giggs Hill Green. Sunday sessions for U5-U9s are 10-11.30 (please arrive in good time for registration) and Friday evening sessions are 6-7 for U10s and U11s, 7-8 for U12s, U13s an u14’s. The Coaching at TDCC is delivered by the Chris Harrison Cricket Coaching Academy – Chris is the Head of Cricket at Hampton School and his company have a proven and exemplary track record. His teams passion for Cricket and ability to bring out the best from each child is why we are truly fortunate to retain them as our Professional Coaches. All of our coaching team are ECB qualified, DBS checked, members of the ECB CA and First Aid qualified. The cost of the nets sessions is £100 for the course. In the first instance please contact the coach relevant to your child’s age group. You can try a couple of sessions for £20 but then you do need to commit as capacity can be limited in certain age groups. Trainers, shorts, T shirts, tracksuit bottoms for training in the younger age groups – as they progress upwards the team managers have kit to share if needed eg bats, helmets, gloves etc. Whites are essential for matches – TDCC kit is available through the website Shop. The clubhouse will always be open on Sundays serving bacon rolls, tea, coffee and other soft drinks. The bar is open from 12 onwards. Can I leave the children? No – none of the sessions are drop and go. 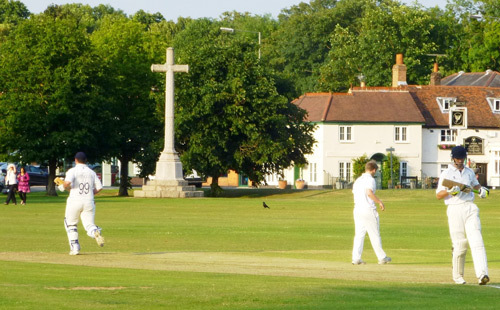 The cricket ground is open to the public with roads on all sides of the green. We cannot take responsibility to deliver quality training and keep eyes on all children all of the time. Parents are welcome to ask another parent or friend to keep an eye on your child but we must have someone present to have responsibility. YES! Our club relies entirely on volunteers so all assistance is greatly appreciated. Please ask your coaches or anyone in the bar and they’ll be happy to help.